Tasting review: Complex, aromatic - tones of old leather, spices, nutmeg, cinnamon, fresh herbs. The Lheraud Vintage 1975 Grande Champage Cognac is a natural, cask-strength Cognac from the Grande Champagne harvest of 1975. 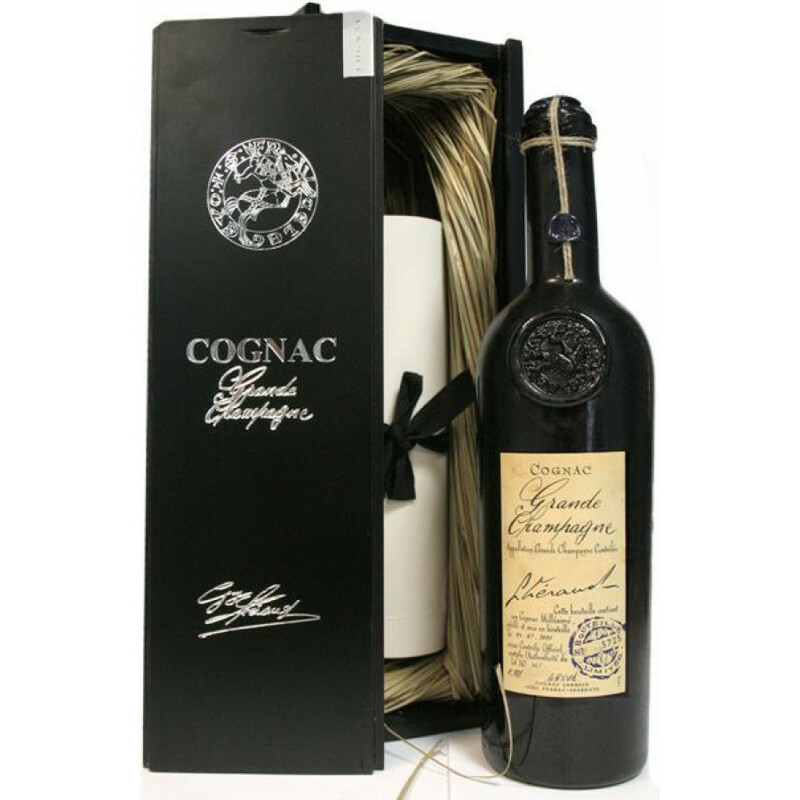 Unlike other types of alcohol, age specific (vintage) offerings are still a rarity in the world of Coganc. The house of Lheraud is pretty unique in the fact that they produce a range of such Cognacs, each created from an annual harvest that deserves to be celebrated by being presented in such a manner. This is a powerful Cognac. At 47° it offers a variety of ways in which it can be enjoyed. For the purist, drink neat, perhaps paired with a bitter coffee or your favorite cigar. For the adventurous, drop in a couple of rocks of ice, or even a few drops of water to experience a subtle difference in the tasting experience. Whichever way you decide to enjoy it, take your time. It's taken decades to come to maturity, so relax, enjoy, and savor. A great addition to the finest of Cognac collections. Tasting notes by Hine: First impression : Vanilla. Main character : Mellowness. Characteristics : Floral, iris, cedar wood, mountain honey.